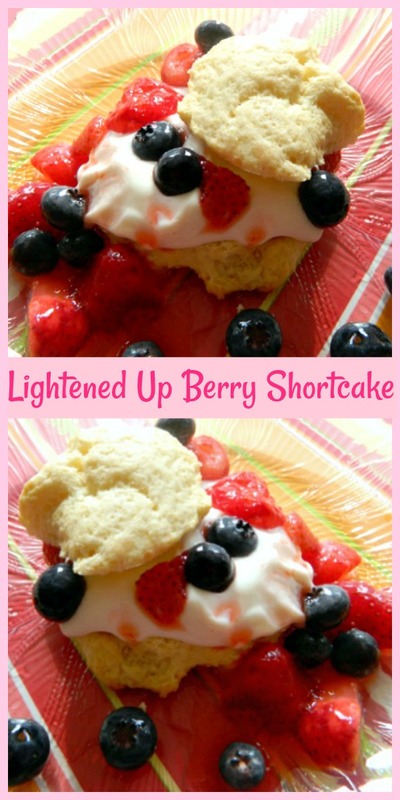 Lightened Up Berry Shortcake – For a simple to make and delicious dessert that’s bursting with berries, this is the one to check out. Now, I make it this way and the whole family adores it. 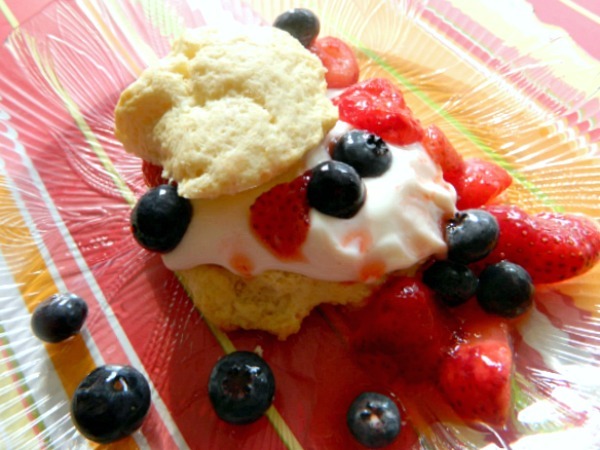 Make these beautiful shortcakes soon, taste the deliciousness! 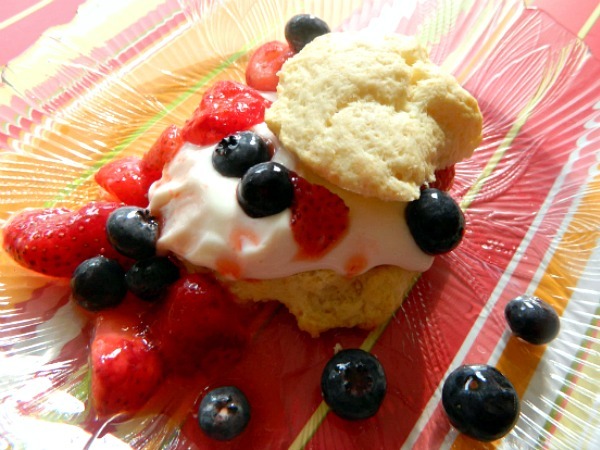 When I was thinking of a recipe for strawberry shortcake I thought, why not add blueberries? They are so sweet and have such great health benefits. I added them along with Greek yogurt instead of heavy cream for the filling. We didn’t miss the heavy cream at all. By adding the yogurt it gives the recipe a boost of protein too. I know you’ll love this recipe as much as my family and friends do. 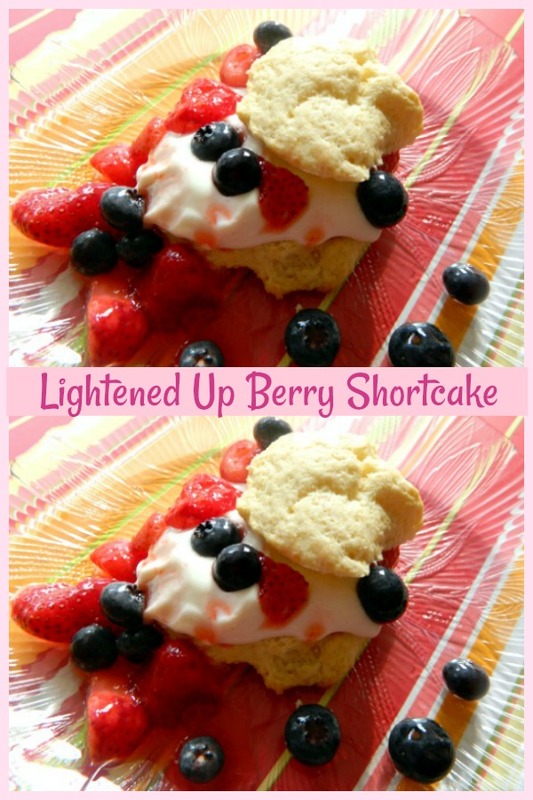 Look how pretty this easy-peasy shortcake is. A showstopper! Preheat oven to 425 degrees. Line a baking sheet with parchment paper (you must use parchment paper for this recipe). In a large bowl combine the flour, baking powder, salt and 1 1/2 teaspoons sugar. Using a pastry blender or your fingers, gently mix in the butter until you have pea-sized pieces. Add the milk and vanilla. Stir until the mixture forms a messy, shaggy kind of dough. Divide the dough into 4 pieces and lay on prepared pan. Bake until light to golden brown. About 15 minutes. While that is in the oven, combine the yogurt with the honey and set aside. In a medium bowl sprinkle the remaining 1 1/2 teaspoons sugar over the sliced strawberries and mix gently. Mix in the blueberries and gently mix again. When the shortcakes come out of the oven let them cool about 5 minutes on a wire rack. Now split each in half and place a dollop of yogurt over each bottom half and then add the strawberries and blueberries. If you want you can sprinkle the lemon zest and then sandwich with the top half. Enjoy the freshness and deliciousness! 1.Preheat oven to 425 degrees. Line a baking sheet with parchment paper (you must use parchment paper for this recipe). 2.In a large bowl combine the flour, baking powder, salt and 1 1/2 teaspoons sugar. Using a pastry blender or your fingers, gently mix in the butter until you have pea-sized pieces. Add the milk and vanilla. Stir until the mixture forms a messy, shaggy kind of dough. 3.Divide the dough into 4 rough rounds and lay on prepared pan. Bake until light to golden brown. About 15 minutes. 4.While that is in the oven, combine the yogurt with the honey and set aside. In a medium bowl sprinkle the remaining 1 1/2 teaspoons sugar over the sliced strawberries and mix gently. Mix in the blueberries and gently mix again. 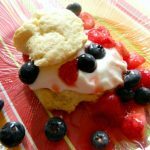 5.When the shortcakes come out of the oven let them cool about 5 minutes on a wire rack. 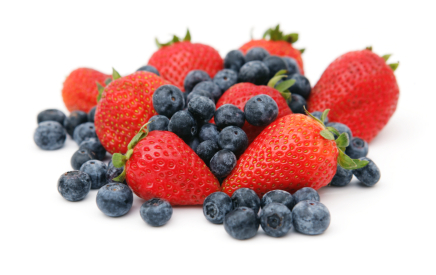 Now split each in half and place a dollop of yogurt over each bottom half and then add the strawberries and blueberries. If you want you can sprinkle the lemon zest and then sandwich with the top half. Enjoy!